In business since 1970, Coast Label Company is a custom, specialty solutions provider based in Southern California. Under the ownership of President & CEO Craig Moreland for more than 25 years, the company has grown through a devotion to innovation in flexo, digital, and screen printing. Coast Label recently acquired a 13” Durst Tau 330E digital UV inkjet device in order to continue advancing into the digital durable and specialty label space. Moreland said there were several reasons Coast Label has been transitioning to digital, citing efficiency as well as growing customer demand for full color and multiple versions on even the simplest industrial labels. “That becomes time consuming and expensive to do,” he said, “especially in low volumes on flexo equipment. ” Moreland chose the Tau after a long consideration on what would deliver the best results for Coast Label’s largest verticals, which include healthcare and high-performance industrial. “We just hadn’t found a piece of equipment that we wanted to own. We offer UL-recognized components and other products that have a strong need for ink performance, adhesive performance, substrate performance,” he said. “This is where the toner technologies don’t really work very well for our needs.” “This year at Labelexpo, it was clear that UV digital label printing had arrived in terms of the quality, the speed – that was one of the things that finally tipped us toward the Tau 330E, ” Moreland continued. “With the Tau, we’ve got the enhanced capabilities of a very durable ink set that, in a lot of cases, will not require over-lamination. 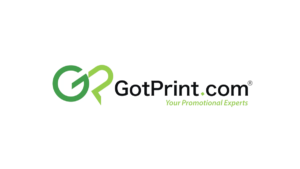 It certainly is fast and will not require any delays for making printing plates. We also expect to be able to make labels with lower levels of waste, which ties into our L.I.F.E. Certified Facility environmental initiatives. We’ll be able to do things faster and offer better service levels and enhanced products with a very high level of quality and repeatability.” As the market evolves, service times and ordering strategies are evolving as well. Coast Label looks forward to being able to offer new ways of purchasing as well as new products. “We see it as game-changing to be able to offer shorter runs with lots of versioning at a competitive price,” Moreland said. The Tau 330E is a UV inkjet label press printing 8-inch or 13-inch widths in four or five colors at speeds of up to 157 ft./min. and a resolution of up to 1,260 dpi. The system has been engineered with particular attention to equipment cost while maintaining the proven speed and printing quality of the flagship Tau 330 label press. 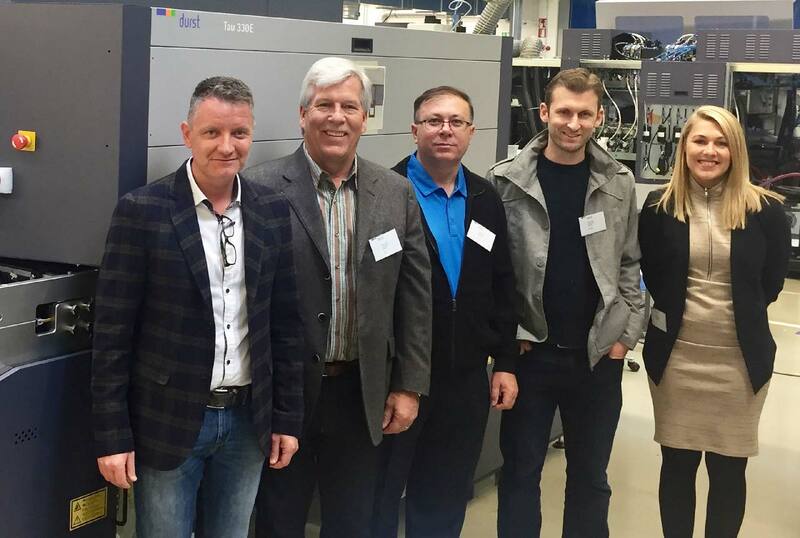 By reducing the color offering from seven in the original Tau 330, Durst is able to offer a more economical model. Like the rest of the Durst family of products, the Tau 330E delivers outstanding quality, industry-leading productivity, and world-renowned reliability. 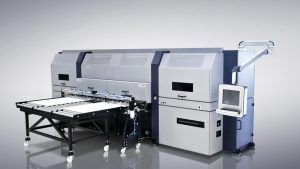 Kroll said Coast Label has combined the Tau 330E with the Grafisk Maskinfabrik(GM) DC330 Mini semi-rotary finishing system with inline integration that creates a seamless workflow. The company is a four-time winner of TLMI’s prestigious Eugene Singer Best Managed Company Award. Coast Label Company is an ISO 9001-certified converter that specializes in durable products, compliance intensive specifications, and custom solutions. From prototype runs to high volume orders, the company solves unique application requirements through personalized consultation, technical prowess, and consistently excellent manufacturing performance. For infomation about Coast label Company or any of its products and services, phone 1-800-995-0483 or e-mail sales@coastlabel.com. Or visit the company online at: www.coastlabel.com. Durst Phototechnik AG is a leading manufacturer of professional digital imaging systems. The company operates manufacturing facilities in Brixen, Italy, and Lienz, Austria, and has major offices in the U.S., France, United Kingdom, Germany, Spain, Mexico, Brazil and Singapore. Durst’s reputation for quality, precision, innovation and reliability spans more than 80 years. For information on the company or any of Durst’s products and services, contact Christopher Guyett, Sales & Marketing Coordinator: phone (585) 486-0340 ext. 5270, fax (585) 486-0350, e-mail cguyett@durstus.com. Or visit Durst U.S. online at: www.durstus.com. Press Inquiries: Bruce Hyland, bhyland@durstus.com, (585) 766-3833.